For Walden graduates, commencement is a momentous occasion—as it represents hard work throughout the years culminating in an event to mark academic achievement. Held twice a year in January and July, the Walden community celebrates student success and accomplishment. Walden administrators, faculty, and staff, as well as graduates’ friends and family members numbering in the thousands, gather together to recognize the current class of graduates. 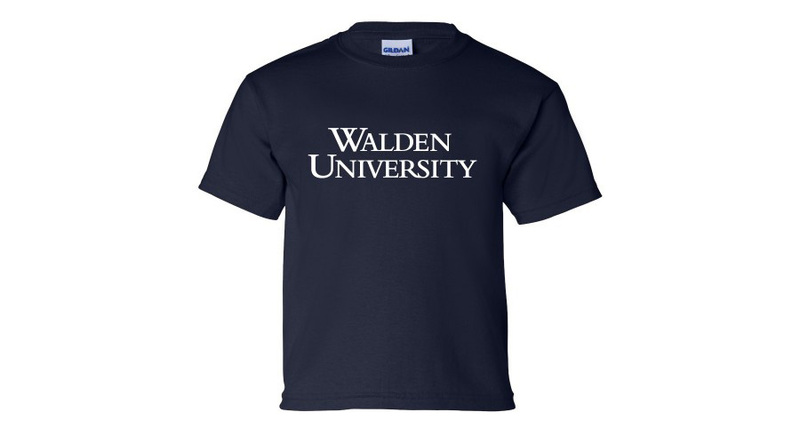 Walden’s commencement ceremonies host a number of inspiring speakers, such as civic leader Benjamin Jealous, former Mexican president Ernesto Zedillo, former president of Costa Rica and Nobel Laureate Oscar Arias Sanchez, and former Secretary of State Condolezza Rice. Experience the excitement of commencement. Witness the pinnacle of academic success. For specific information about Winter Commencement please contact us at commencement@mail.waldenu.edu with your commencement related questions. [MUSIC PLAYING] PAULA SINGER: You have all done remarkable work, and I am confident that you will make a tremendous impact on the world. ZIAUDDIN YOUSAFZAI: The most important source of change is you yourself. WILLIAM DURDEN: You go out these doors as one people with diverse capabilities to solve common challenges. You go out these doors today as Walden. 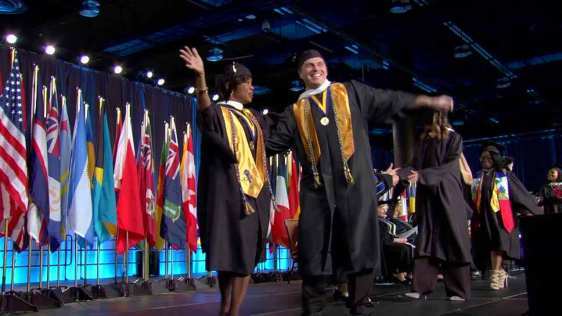 EDNA ADAN ISMAIL: Now that you have become equipped with education and acquired that that you have fought for for so long from Walden University, go for it. FEMALE SPEAKER: Thank you, Walden! Read about the accomplishments, achievements, and impact on social change of our alumni around the globe. Dr. Angie Kovarik cultivates student engagement. Happy Grads, Walden Alumni, Share Your Story! Build connections with those who share similar goals. Find content relevant to your Walden journey. Share your Walden experience and insights. Happy Earth Day! Online learning reduces traffic and air pollution. How else do you help the planet? Wishing all those who celebrate a happy Easter! What’s your favorite Easter tradition? This high school dropout suffered a traumatic injury, then earned five graduate degrees. What’s your career goal for the year? Comment below!